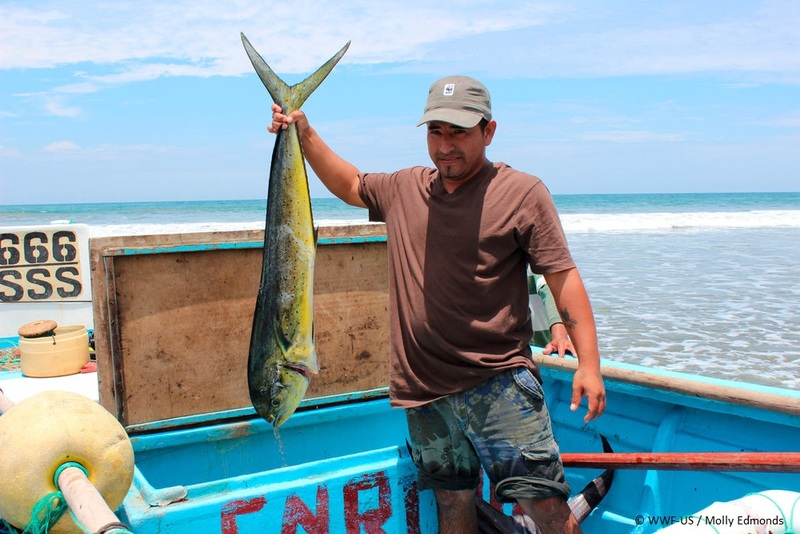 Ecuador’s mahi mahi fishery is one of the country’s most valuable artisanal fisheries and products are primarily exported to the United States. Mahi mahi are also critical to the overall health of the marine environment, providing nutrition not just for people but for wildlife as well. 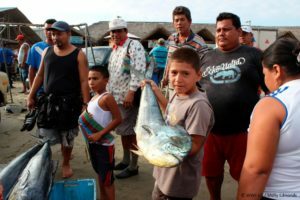 The Ecuadorian mahi mahi fishery is vast and productive, but prior to 2010, there was no ongoing science that industry and government could rely on to determine the overall health of the local fish stock. A size limit to ensure juveniles are not being caught was in place, but there was no control over its application, no meaningful monitoring program, and no management plan to back it up. 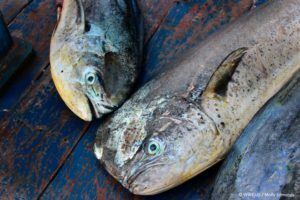 To promote a sustainable future for this critical fishery, Ecuador’s undersecretary of fisheries resources, in collaboration with World Wildlife Fund (WWF), launched the Ecuador Mahi Mahi Fishery Improvement Project (FIP) in 2010. 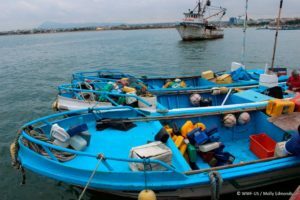 In Ecuador and around the world, FIPs bring together industry, researchers, government, and NGOs to help improve fishing practices and management. Through a transparent and comprehensive approach, FIPs increase fisheries’ level of sustainability to help meet the requirements of the Marine Stewardship Council (MSC) standard. Improving data collection to inform the development of the first regional mahi mahi stock assessment in the Eastern Pacific Ocean. In March 2018, the six main exporters of mahi mahi from Ecuador jointly agreed to support the implementation of the Ecuador mahi mahi longline FIP and help the fishery get MSC certified. The six exporting companies—Frigolab San Mateo, Propemar, Mardex, Transmarina, Oceanfish, and Fresh Fish—are based in Manta, Ecuador, and represent 60% of the country’s mahi mahi market, exporting an average of about 3.8 million pounds annually. “Our six exporting companies are proud to support the Ecuadorian mahi mahi FIP and help the fishery meet the MSC standard,” said Guillermo Moran, coordinator of the Ecuadorian mahi mahi exporters consortium. Moran explained that although the FIP has made excellent progress over the past eight years, there are some issues at the international level that still need to be addressed, as mahi mahi migrate across political boundaries. “We look forward to providing critical financial support and using our influence to get this fishery across the finish line,” said Moran. Wendy Goyert, lead specialist for Latin America fisheries in transition at WWF-US, applauded the major exporting companies in their ability to come together to ensure the completion of this important FIP. “Their commitment to MSC certification and sustainability will allow the fishery to continue providing jobs, income, and nutrition, all while protecting the health of local marine species,” Goyert added.